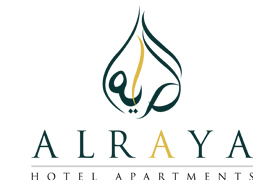 Al Raya Hotel Apartment is a standard Apartment style & centrally located in the heart of Bur Dubai. walking distance from Burujman shopping Centre & spines Centre, it is only 10 minutes from Dubai International Airport, the Jumeirah Beach, Dubai Down Town and Burj Khalifa. Al Raya Hotel Apartments offers very species 2 & 3 bedrooms Apartments with high speed internet access offered free of cost, swimming pool, Sauna, Steam & Gymnasium. 2 bedroom apartments, 2 spirited rooms comes with one king size bed and one twin bedded with bath room as well as guest toilet and fully equipped kitchen, centralized air-conditioning, 32’LCD TV, Satellite channels, Safety box and filtered tab water can accommodate 3-4 person with size of 115 square meter. 3 bedroom apartments, 3 spirited rooms come with one king size bed and two twin bedded with 3 bath rooms as well as guest toilet and fully equipped kitchen, centralized air-conditioning, 32’LCD TV, Satellite channels, Safety box and filtered tab water can accommodate 5-6 person with size of 132 square meter.